What happens when you combine Steve Jobs and Steve Wozniak? An explosive partnership occurs! The same holds true when you merge social media marketing with SEO activity. If properly integrated, it can make a formidable difference to your search rankings, lead conversion rates and overall marketing ROI. 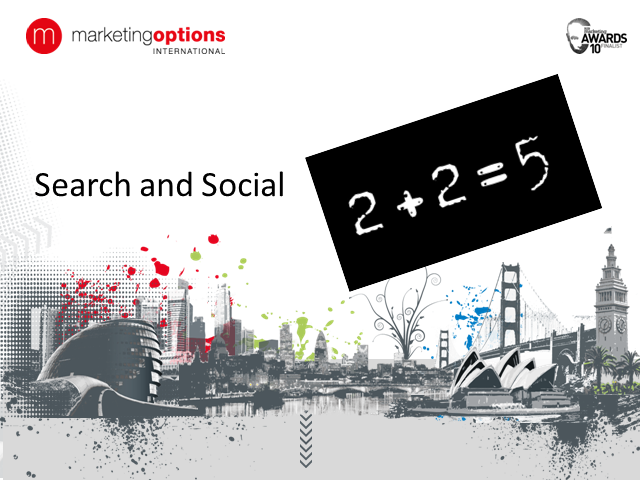 · How and why SEO, blogging and social media can work together for exponential results. · How to focus and structure your social media efforts to create an inbound marketing channel. · How to track and measure ROI and what to expect. In addition, Chris will provide an overview of key trends in social media and search engine optimization integration and show how this can be applied to today’s evolving B2B marketing landscape.